Rupee is expected to trade around 71.30 in the wake of Brent crude’s climb to near USD 65 a barrel, and losses in Asian currencies and equities. The Indian rupee has recovered from the day's low point but trading lower at 71.26 per dollar versus previous close 71.16. 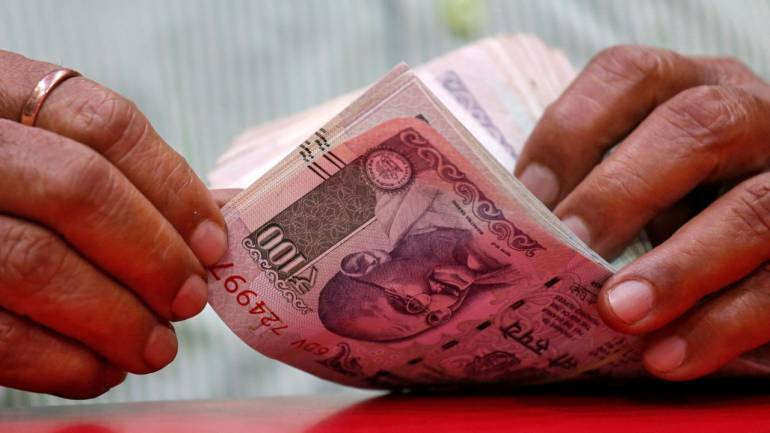 Rupee came under pressure in yesterday’s session and is expected to trade around 71.30 in the wake of Brent crude’s climb to near USD 65 a barrel, and losses in Asian currencies and equities, said Motilal Oswal. Earlier today, China reported a 1.7% on-year increase in consumer prices in January and a 0.1% rise in producer prices, both below expectations of economists polled by Reuters. Capital Economics said that falling factory prices are consistent with evidence of cooling domestic demand in China. Meanwhile, the US reported a 1.2% month-on-month decline in January retail sales, which is the biggest drop in more than nine years. Excluding automobiles, gasoline, building materials, and food services, retail sales dropped 1.7% last month, the biggest fall since September 2001. High-level talks between US and Chinese officials are currently ongoing in Beijing to work out a trade deal before the March 1 deadline, it added.